Inspired by its surroundings, the nursery school blends in seamlessly with the green countryside, yet makes its own mark on the landscape. 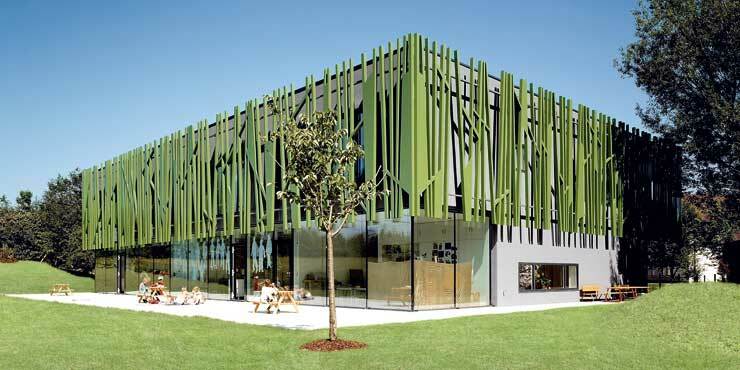 As a striking design feature, giant blades of grass adorn the façade of the nursery school. On the ground floor of the cubic building structure, large glass units guarantee transparency and openness. They allow light to flood into the rooms and create a connection between nature and play areas. 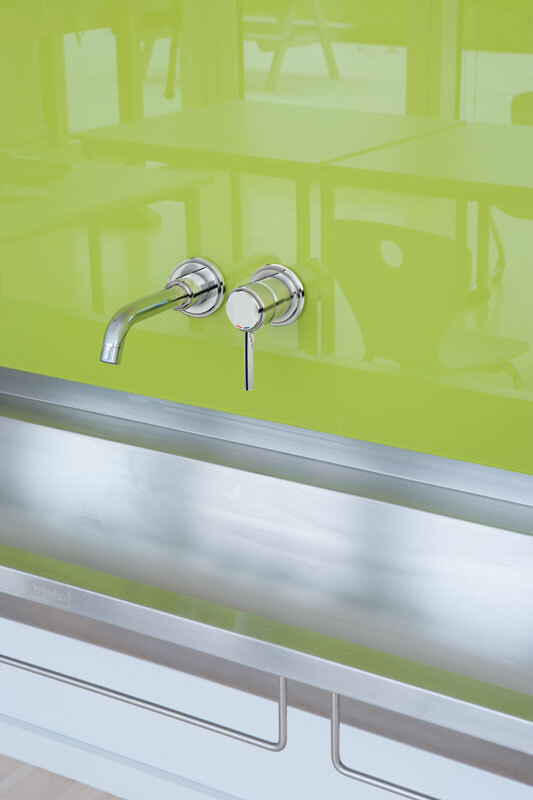 User-friendly GROHE Essence single-lever mixers for the basins and GROHE Atrio wall-mounted faucets for the water troughs teach children in a fun way how important it is to use water responsibly. 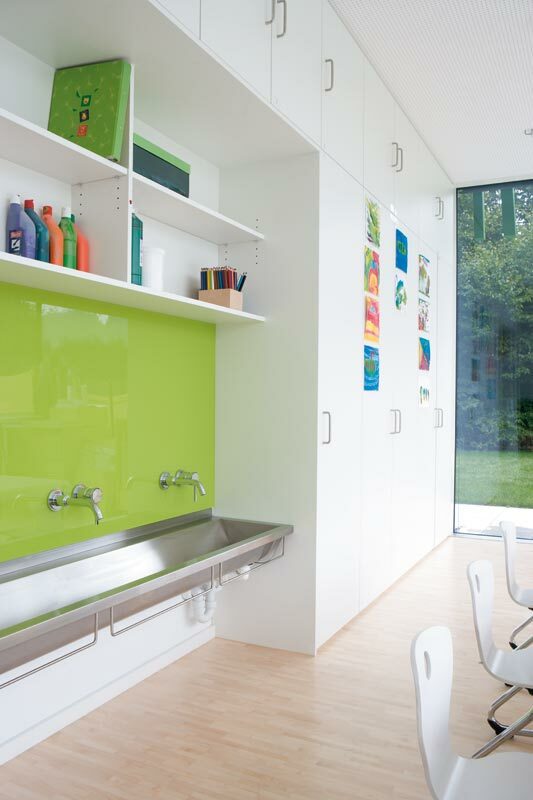 The minimalist design blends in perfectly with the bright and friendly ambience of the nursery school. The GROHE SilkMove® technology in the cartridges also ensures that the children are able to operate the faucets in a particularly easy, precise and reliable way and that it will be possible to use them virtually without any wear and tear for decades to come.